SHEELA BRINGI's first album, Incantations, was hailed as "the birth of Vedic Jazz!" 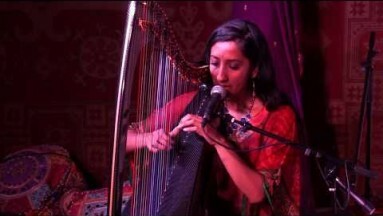 She is an Indian-American vocalist and multi-instrumentalist whose musical talent is delightfully fresh. 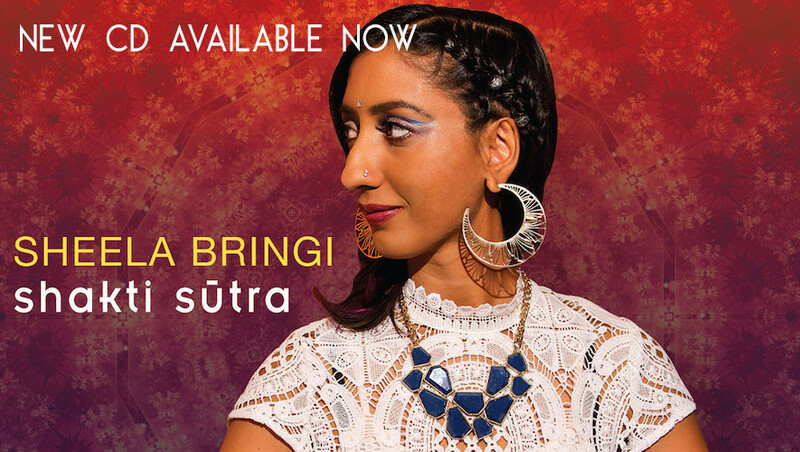 On her latest album, Shakti Sutra, featuring kirtan artist Dave Stringer, she sings verses from the Guru Gita, the Devi Mahatmyam, the Upanishads; mantras to Ganesha, the Gayatri; and traditional kirtan bhajans to Sita Ram, Krishna and Shiva. With an Indian classically trained voice, Sheela, also joined by Clinton Patterson and Subhashish Mukhopadhay, weaves a musical spell with soulful rhythms and acoustic textures. Instruments including bansuri, harp, strings, tabla, manjira, harmonium, guitar and percussions create a captivating synthesis of East and West with Sheela's exceptional voice soaring above all else. Sublime! Here's a girl that understands how to make girl-friend music. This multi-culti, multi-instrumentalist brings her harp to the fore and makes exotic music that doesn't sound like opium den music. Surprise your gal with this and some incense and candles and she's sure to lavish some surprises on you. A wonderful sonic trip to other places, this will do more for setting the mood you want than old Jackie Gleason instrumental records. Smart stuff throughout. Highly recommended for connoisseurs of reflective, spiritual soundscapes is Shakti Sutra by Sheela Bringi, an album of evocative music crafted to be especially suitable for chanting, yoga, and movement. 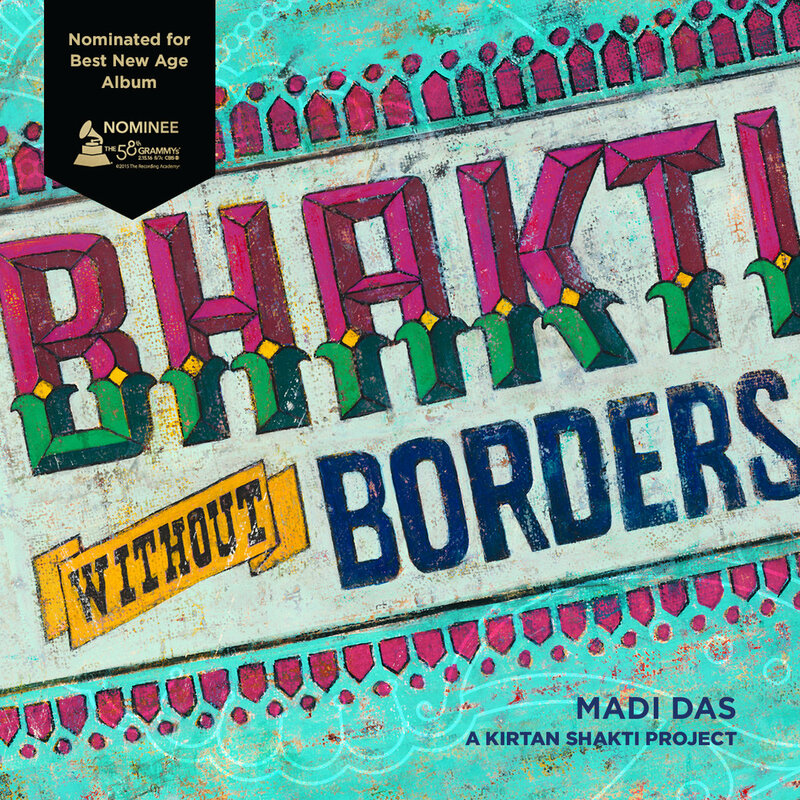 Bhakti Without Borders, the beautiful album I worked on with producer Dave Stringer for Madi Das and Kirtan Shakti, has been officially Grammy-nominated for Best New Age Album! All profits benefit education for girls in India. I am a featured instrumental soloist on the album. 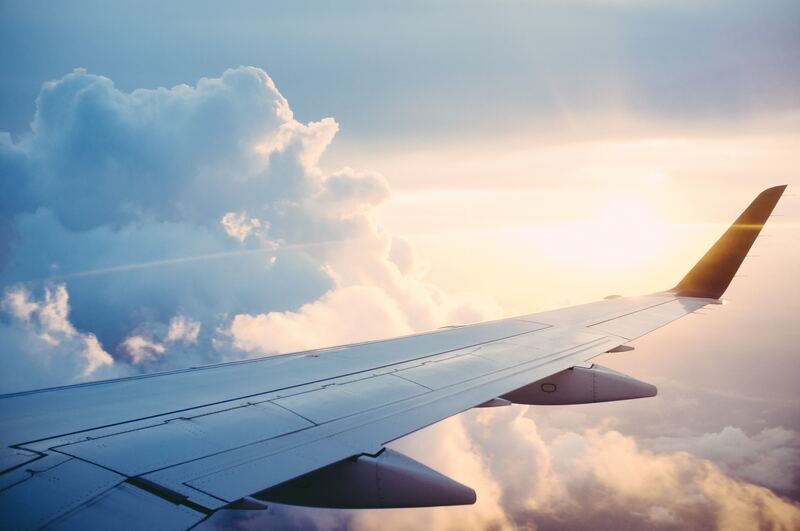 Check out the story here.